Roasted Tomatillo Chicken and Rice Bowls! I’ve been waiting for uuuuuu. Let’s just cut right to it –> the main idea here is that you eat a big bowl of savory, spicy, tangy AND creamy chicken with tomatillo sauce piled on rice and topped with colorful and crunchy things, and you feel really good about it. It’s one of my best ideas ever, which isn’t really one of my ideas, which is how all my ideas are – but this one was inspired by something I saw on the menu at a place called Sammy’s Bistro in Salt Lake City. Have you been? Have you ordered the Savory Chicken Bowl? You win! That’s what I was trying to recreate here. It starts with pile of shredded chicken is taken in by a big bowl of homemade roasted tomatillo sauce with jalapeños, poblanos, roasted garlic, a huge mess of cilantro, and a touch of cream – and the saucy tomatillo chicken mixture is heaped over steaming rice and topped with just about anything you want: limes, cilantro, sour cream, or homemade fried tortilla strips. Or homemade fried tortilla strips. Yuhhguys! 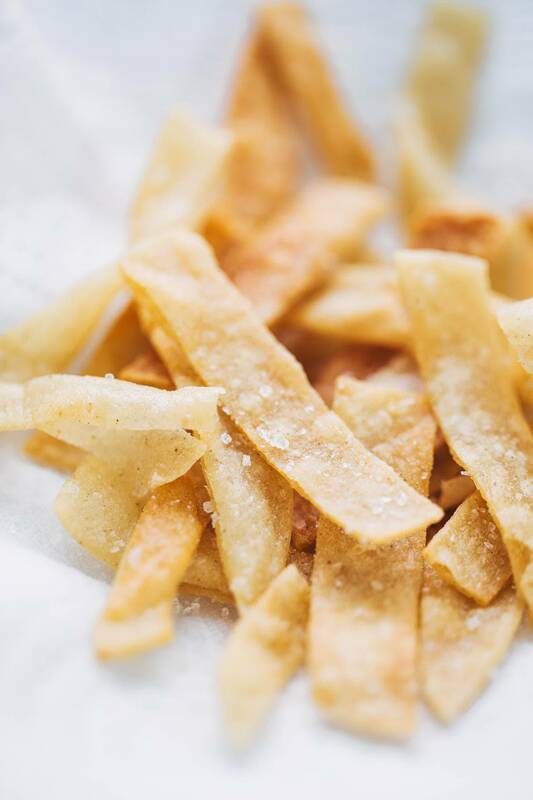 The homemade fried tortilla strips. I wanted to post about these bowls the nanosecond after I made them, which was last week sometime (last week x5, because, ummmyeah), but did I mention? I got knocked down with a Minnesota winter sick bug instead and started spending all my time watching trashy TV and eating very safe, extra mild, ultra healing things like the Inner Goddess Raspberry Breakfast bowls in wiser moments and Cup o’ Noodles in moments of weakness. I was SO not thinking anywhere near the Roasted Tomatillo Chicken Bowls section of my brain and it was a sad time. But the good news (like, good enough news that every time I remember it I get a little excited buzz running through my body) is that my old friend The Appetite is back and I can 1 – EAT! Oh the pure joy. and 2 – actually talk about these Roasted Tomatillo Chicken Bowls and tell you why they’re so super delicious. Which is because of that roasted tomatillo sauce. Roasted tomatillos, poblanos, and jalapeños + roasted garlic and shallots + cilantro, cream, salt… oh me oh my. It’s super easy and it’s really, really, reeeeeeally good. It’s the kind of good where I think about how to incorporate it into just about every spicy, flavor-kicked recipe between now and forever. Also – the sauce-simmering-smells in your house are not a bad thing. At all. So in a weird twist of events (or maybe just a weird blogger move) I’m actually bringing you this post this morning from the road somewhere between Orlando and Charleston! It’s a beautiful thing, technology – to be in a tiny little red rental car barreling along down the highway with an Americano in hand, sunglasses on, and my blog in my lap. Just… seriously. Weird life moment and I like it. We’ve had such a great time these last few days taking Orlando by storm – Bjork experienced Disney for the first time, I ate five hundred mini shrimp toasts with pickled kumquats at the event brunch, we led a session at the Food Blog Forum conference, and both of us met and adored all the incredible food bloggers who were a part of the weekend. Wows. Since we’ve made it this far on our journey and we are, in fact, ON OUR WAY TO CHARLESTON AS WE SPEAK, I would like to issue a final (potentially obnoxious? shameless?) call for any Charleston recommendations right here and now – we’re literally on the road as I type, I’ve literally written down all your recommendations to date and have them in a very Type A style notebook/calendar format so we can hit as many as possible, and you are literally the best ever for talking us through this charming foodie city. Lit-er-al-ly. 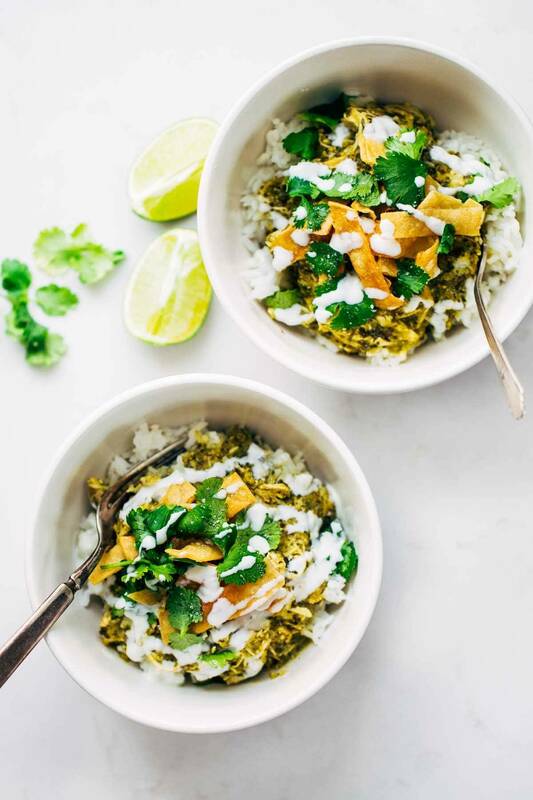 Next time we meet, I shall be in Charleston and you shall be eating one of these Roasted Tomatillo Chicken and Rice bowls and there will be good vibes alllll around. 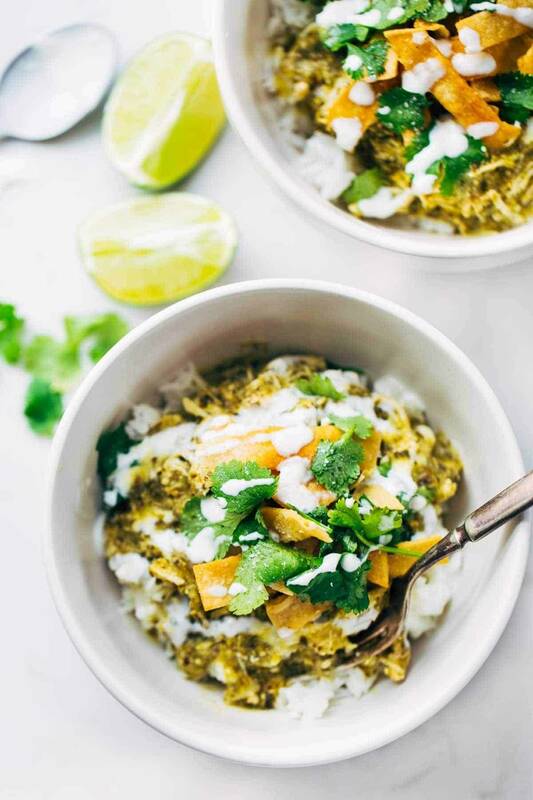 Roasted Tomatillo Chicken and Rice Bowls – shredded chicken with homemade Roasted Tomatillo sauce on rice with cilantro, sour cream, and tortilla strips. For the sauce: Preheat the oven to 425 degrees. Peel the paper off of the tomatillos, shallots, and garlic cloves. Place the tomatillos, poblanos, jalapeños, and shallots on a baking sheet and drizzle with olive oil. Place the garlic on a piece of foil, drizzle with oil, and wrap into a little packet. Place on the baking sheet. Roast everything for 40 minutes, stirring halfway through to prevent burning. Pulse all the roasted ingredients in a food processor with the broth, salt, and cilantro. For the Tortilla Strips: In a heavy skillet, heat oil over medium low heat (oil should be about one inch deep). Cut the tortillas into small strips. 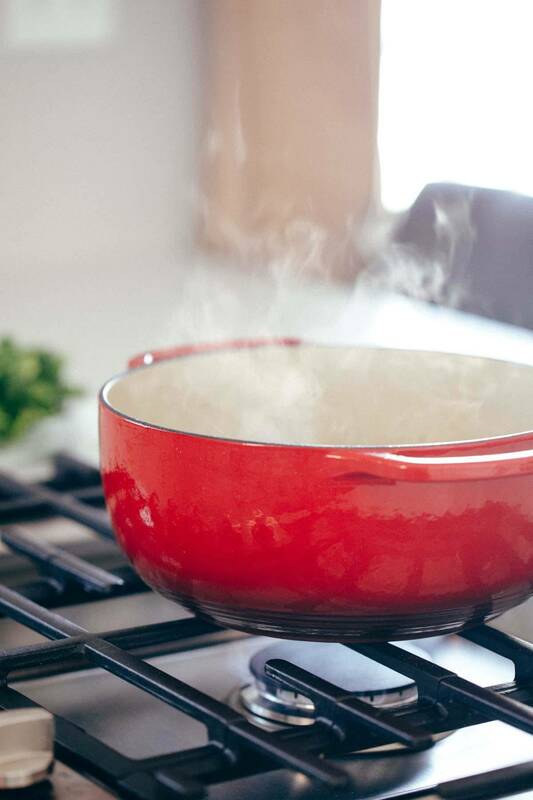 Test the oil with by letting a drop of water fall in the pan – if it sizzles, the oil is ready. Add the tortilla strips in batches, flipping or stirring occasionally to prevent burning. When the tortilla strips are crispy and golden, remove and set on a paper towel lined plate. Sprinkle with salt. Repeat until all tortillas are done. Assemble the bowls with rice, chicken, tortilla strips, cilantro, sour cream, and lime juice. Yum! I’ve also made this by cooking the chicken separately while the sauce ingredients are roasting – I just simmer in a pot of water on low heat for about 15 minutes until cooked through, and then shred and toss the cooked chicken in the sauce at the end. I loooove your chicken recipes. 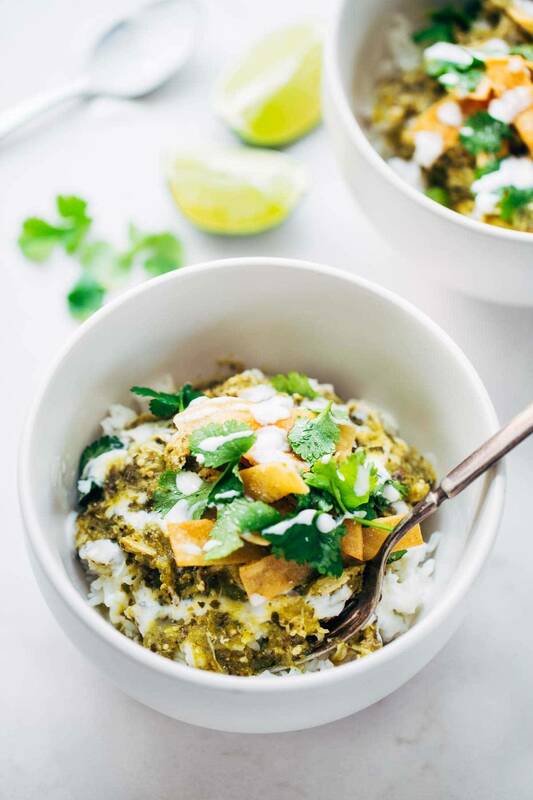 These tomatillo chicken and rice bowls look soooo delicious! Pinned! This. Looks. Amazing. My kids will LOVE this. Can’t wait to make it. As always, this looks divine, delish and uber- healthy. It has never occurred to me that I’d be capable of making my own fried tortilla chips and yet you have have planted that seed. I’m going to get off the couch and do this. We’re heading to Charleston is the near future as well! But I think we’re going to miss you guys. Can’t believe Bjork has never been to Disney! Although I confess, I just park myself in Canada and eat Cheesy/Beer soup all day. 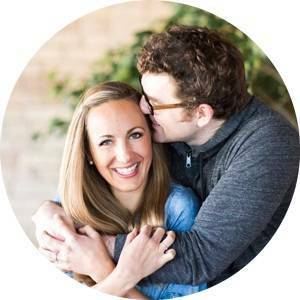 Soooo glad you are feeling better Lindsay! I’m actually traveling back from SLC today, but sadly missed Sammy’s. Translation: I need to make a little Sammy’s happen in my kitchen via these beautiful bowls. Have fun in Charleston! You do! Everything we had there was reeeeeally good. Looks delicious. Re: Charleston dinner recommendations – 1) HUSK – hands down one of the best meals I’ve ever had. The bar is also exceptional if you are into adult beverages. Only problem may be getting in. Hopefully it won’t be too hard since it is not prime tourist season. 2) The Obstinate Daughter – technically on Sullivan’s Island outside of Charleston. 3) The Hominy Grill if you are interested in true Southern comfort food/soul food. And, just in case you happen to be craft beer fans – 4) Craftsmen Tap House. The food is good/ok, but the beer selection is phenomenal. Hope this helps! Have fun in Charleston (one of my favorite cities ever)! Gosh this looks amazing and a perfect one bowl meal!! So yummy! I meant “this would make…” My inner grammar police had to mention that…. My fiance has been really into the tomatillo sauce lately and he pulls out the bottle whenever I’m cooking pretty much ANYTHING and is like, can we add some of this? and I’m like, sure add your tomatillo sauce to my stir fry or my manicotti or whatever, why not? since we’re going through it like crazy now, I should try making my own! Thanks for the recipe 😀 And glad you’re feeling better! I made something similar to this in soup form this week! You MUST go to Magnolias. I’ve eaten there twice and both meals are the top two meals of my life. The interior is charming and classically southern! 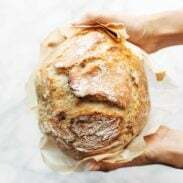 And of course the Baked shop that was opened by the chef’s who wrote the Baked cookbook! 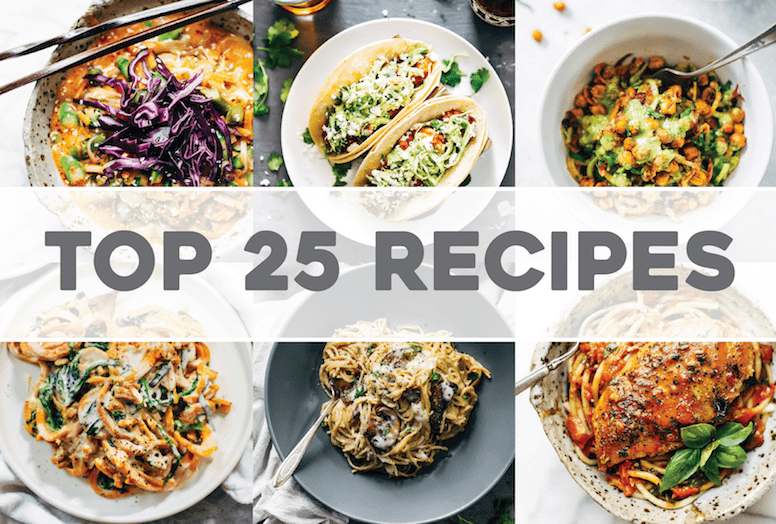 Also, I am a new reader and have made quite a few of your recipes over the past few months….All of them have been DELICIOUS! That 4th picture there is just a tease! Taunting me to slurp up that spoonful of Roasted Tomatillo Sauce! Oh yum, yum. 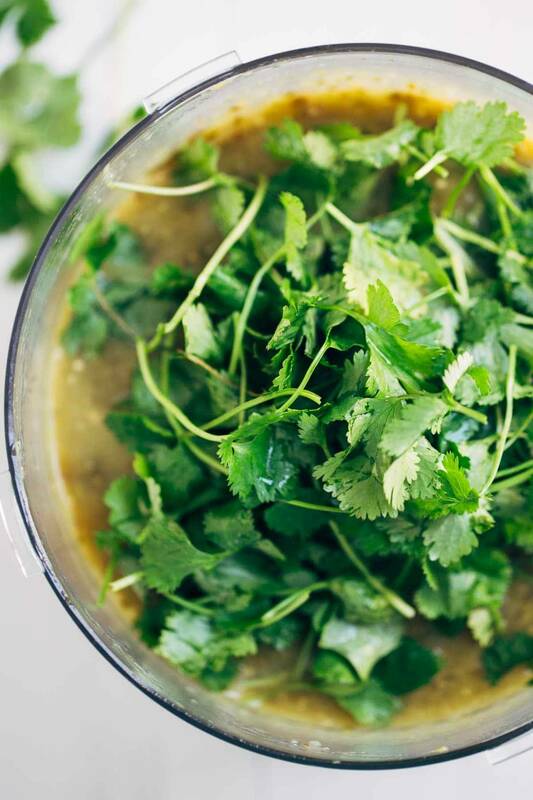 Roasted tomatillo sauce has been a hot topic here with the cold weather. Hot little street tacos, enchiladas, and just smothering anything we put it on. Can’t wait to try this! I cannot wait to try this! Guess I will have to wait until I go to the grocery store. My tomatillos are not growing right now. Lately I have been hooked on rice, roasted Hatch or Poblano chilies and corn and a little smoked chicken. This will be a nice change. I definitely need to get more tomatillos into my culinary cuisine! They are so delicious and make everything look beautifully green! Lindsay this recipe looks so delicious! I love tomatillo sauce! My son goes to College of Charleston! Peninsula Grill Coconut Layer cake, Husk for dinner, Callie’s Biscuits, Caviar and Bananas for any baked goods, Glazed for the most incredible donuts!! Ur gonna love it there!! I have heard of the coconut cake. MUST TRY! This looks amazing! And, methinks it would make a good recovery meal after you got your appetite back from the Minnesota cold that took you down. Gorgeous shots as always…seriously, the tortilla frying is awesome. Breakfast/Brunch – Caviar & Bananas. Recommend going to the brick & mortar market on George St. vs. the small stand in the farmer’s market area. Awesome finds include a ridiculously amazing avocado-egg-BLT sandwich, various salads and sandwiches, cool local products and yummy coffee. Lunch and Beer (Charleston’s a good beer town!) – Closed for Business wins for best bar name ever and a great selection. They also have an AMAZING fried chicken sandwich and a really good veggie burger, too. Dinner – if you want a slightly upscale but still comfy place with awesome food and a very southern vibe, go with High Cotton. White tablecloths and servers that act like they’re your long-lost aunt or uncle make it feel like a fancier version of home (know that sounds weird, but it’s true). They sometimes have bluegrass or jazz music, too, which just adds to the ambience. Other drinks – there’s a Gin Joint (may have the name wrong) and lots of beer bars, too. I really don’t think you’ll have trouble in this department. This is incredible! Thank you!! 1.) these look super delicious as always! yum! and 2.) how do you like you like your gas stove? I LOVE LOVE LOVE mine for cooking but not so much for cleaning up the griddles. I need your stove and pot so that I can make this! I love tomatillo sauce and cold bathe in the stuff! And, chicken and rice bowls! There was a Mexican restaurant I used to order this from and they have since closed. This looks so fab. Pinning this deliciousness! Thank you!! I totally get this recipe. I already make your chicken enchilada casserole – the flavor is ‘to die for’, and I’m sure this recipe is the same way. I’d have to forget about the tortilla strips, because they make for way more carbs than I should eat. But this is definitely going on my list of recipes to try – that’s a no brainer for me. These look sooooo good! I love tomatillos! My mom normally grows them in the summer and now I know what I’m going to do with my share of the tomatillos. I do think the sauce would freeze well! Maybe prior to adding the cream though – then add the cream after it’s thawed. You had me at ‘bowl of shredded chicken!’ I am now craving it at 7am. Hmm chicken chicken bowl for breakfast? Wow these look fantastic! I bet those crunchy fried tortilla strips really take it to the next level. Hope the weather here in CHS complies! It’s very rainy lately but its been warming up and I can see buds and green grass. Holding my breath that this is IT. Also, burgers at Poe’s Tavern on Sullivan’s Island. It’s everything. This really is the best restaurant! A must! Ah! This looks so great!!! I can always turn to POY for saucified deliciousness. Now…where to find tomatillos in Japan?? mmmmm. This looks very yummy! Love all the cilantro and those homemade tortilla strips!